We would all like the students in our ministries to have powerful prayer lives, but that won’t happen unless they have the desire to pray. Without that desire, children won’t have a great prayer life no matter how many times you teach on prayer. Pray. If you don’t have an effective prayer life, you won’t be able to instill that desire in your students. If your prayer life is powerful, it will show when you pray in front of your students. That kind of prayer is contagious. Have people testify about prayer. It’s not enough to tell children they should pray or that prayer is good for them. Have people in your congregation speak to your students about their prayer lives and what prayer has done for them. 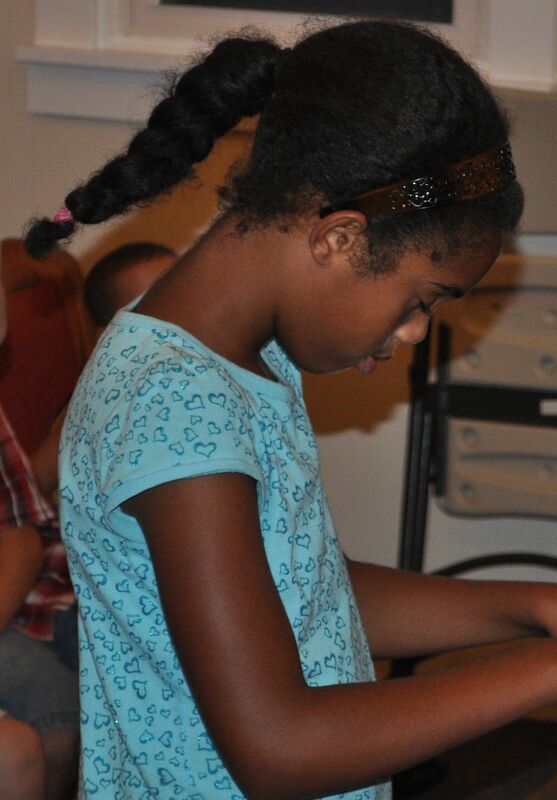 When children learn what prayer has done in adults’ lives they admire, they will have a desire to pray. Keep a white board with children’s prayer requests. Every week, bring out the white board. As children make requests, write them on the board. When a request is answered, circle it. This way children understand that God answers their prayers. Don’t discourage children from praying about “small things”. To them, these things are important. God wants us to come to Him with all our cares, even the small ones. When we imply to children that they can only come to God with requests you consider big enough, they won’t develop a relationship with God where they bring everything before Him. So go ahead and pray for the splinter in the finger or the dog that has fleas. It’s important to your students and to God. Jesus wants them to come to Him. Mark 10:13-14 People were bringing little children to Jesus. They wanted him to touch them. But the disciples told the people to stop. When Jesus saw this, he was angry. He said to his disciples, “Let the little children come to me. Don’t keep them away. God’s kingdom belongs to people like them. The Holy Spirit will help them pray. Romans 8:26 In the same way, the Holy Spirit helps us when we are weak. We don’t know what we should pray for. But the Spirit himself prays for us. He prays with groans too deep for words. 1 John 5:14-15 There is one thing we can be sure of when we come to God in prayer. If we ask anything in keeping with what he wants, he hears us. If we know that God hears what we ask for, we know that we have it. God will give them peace when they’re worried. Philippians 4:6-7 Don’t worry about anything. Instead, tell God about everything. Ask and pray. Give thanks to him. Then God’s peace will watch over your hearts and your minds because you belong to Christ Jesus. God’s peace can never be completely understood. God wants them to pray all the time. 1 Thessalonians 5:16-18 Always be joyful. Never stop praying. 18 Give thanks no matter what happens. God wants you to thank him because you believe in Christ Jesus. God wants them to pray for the sick. James 5:13-15 Is anyone among you suffering? Let him pray. Is anyone cheerful? Let him sing praises. Is anyone among you sick? Let him call for the elders of the church, and let them pray over him, anointing him with oil in the name of the Lord; and the prayer offered in faith will restore the one who is sick, and the Lord will raise him up, and if he has committed sins, they will be forgiven him. God will help them when they’re scared or in trouble. Psalm 50:15 And call upon Me in the day of trouble; I shall rescue you, and you will honor Me. Give your students prayer journals. You don’t have to spend very much to buy a colorful notebook to give to each of your students. Have a special Sunday where you teach them how to use their journals. You could also let them decorate the front of the journals. Teach children to pray Scripture. Give them a list of Scriptures to place in their prayer journals to help them pray. The benefits of prayer above is a good place to start. Once your students have the desire to pray, then they’re ready for you to teach them to become prayer warriors.